It's still an absolute failsafe outfit, a pair of jeans worn with a nice top. Easy, comfy and usually always occasion appropriate for pubs, dinners and for relaxed drinks. To make the look more 'evening' then I like a smarter more interesting fabric like lace, satin, silk or chiffon and wear with simple black court shoes or ankle boots and a nice coat/jacket. There are loads of statement options in the shops at the moment in all price ranges that will make you feel dressed-up and look like you've made a big effort despite the fact you are in jeans. 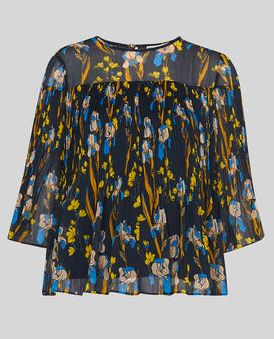 I really like Mercy Delta who do silk blouses in mad prints like neon Zebra's or flying unicorns! 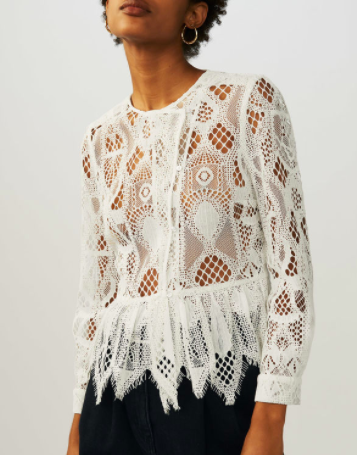 River Island are good for affordable lace and Reiss always seem to have chiffon options. Some lovely top options to wear with jeans for the new season. It's going to be cold for a while yet so this outfit will be a winner for weeks to come. Lisa Gillbe is a personal shopper and stylist based in London. Get in touch today if you would like help with your wardrobe this season.